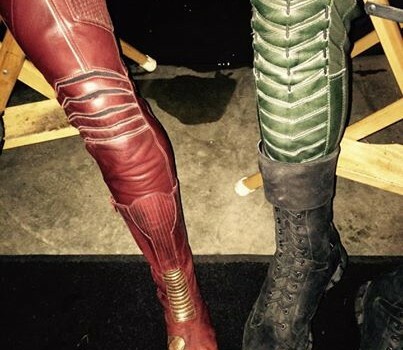 Over on Facebook, Stephen Amell posted a photo of his leg in the Arrow costume next to Grant Gustin’s costumed Flash leg. 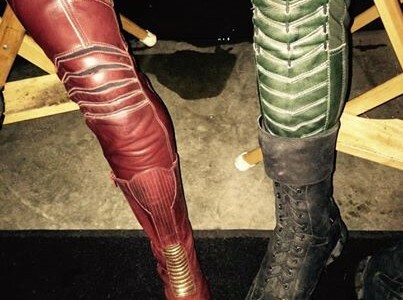 The crossover between Arrow and The Flash is currently filming, and will it air in November. 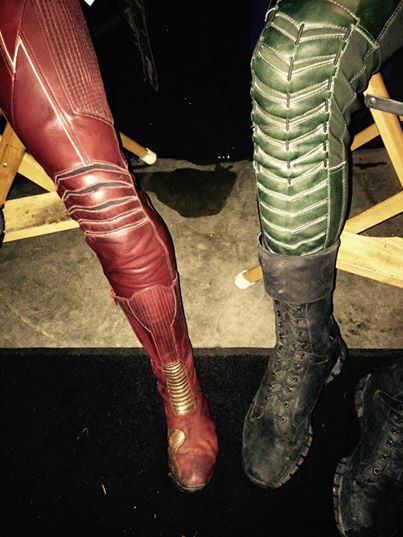 Check out our Flash portal, FlashTVNews!